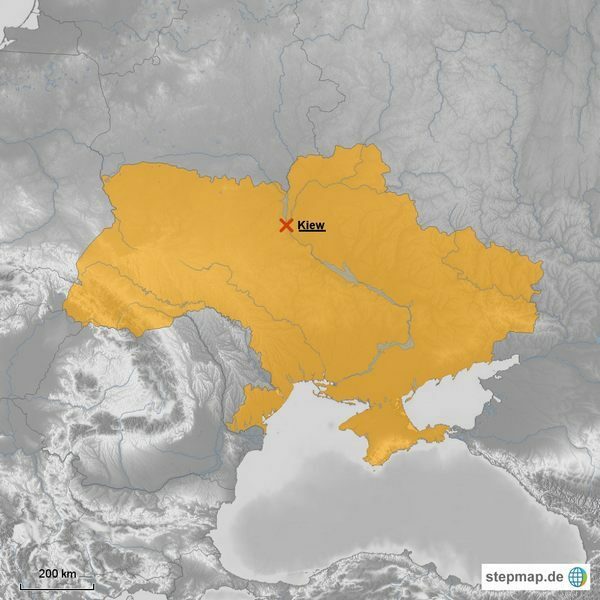 Ukraine is a former republic of the once vast Soviet Union. Ukraine is a big country with plenty of sights and culture to offer to its visitors. Here are just the ten of the many places you could go to when you are in this great country. This place was once the summer retreat of the Russian Imperial family and is located in the coast of Crimea. After the end of the Second World War, the victorious allied leaders gathered to discuss the fate of the defeated Axis powers and the future of the world. Visitors can take a glimpse on how the Russia’s royal family live and the memorabilia left behind by the various allied leaders at the Yalta conference. It is in Poltava where the army of the Swedish King Charles XII and his Cossack allies fought and lost against the Russian Imperial forces, led by Czar Peter I or more popularly known as Peter the Great. History enthusiasts can see the places where the two forces did battle and monuments erected in their honor. The town itself has a long and colorful history dating back to Paleolithic times. The ancient people of Crimea carved these caves for their safety against roving bands of bandits. There is another cave city called the Chufut-Kale that was last use by a Jewish sect called the Karaites Zions. Once inside the caves of Crimea, you cannot help but feel how much history took place inside its walls. Sudak was once a distant outpost of the Roman Empire. During the middle ages, Genovese merchants built strongholds to protect their merchandise and trade with Asia from marauders. Most of the structures however were burned down by the Mongols, but there still enough of the fortress that survived. Traveling through Sudak Fortress takes you back in time, where people back then eagerly await the arrival of various treasures coming from the Orient. Nikitsky Botanial Garden boasts of various trees and plants all living together inside a 40 hectare garden. What makes this garden truly unique is that visitors will get the chance to see the rarest plants from all over the world crammed in one place. Saint Sophia Cathedral is considered to be oldest place of worship in the whole capital of Ukraine. As an architectural marvel, visitors who wish to see Saint Sophia Cathedral’s interior will need to pay an entrance fee plus guided tours are also available. From a simple monastery, Pechersk Lavra has been turned to a complex that was built according to the country’s unique Baroque style at that time. Pechersk Lavra was founded almost a thousand years ago by two friars, namely Saint Anthony and Saint Theodosius. Vorontsov Palace in the Crimea receives almost a quarter of million tourists annually. Most of them visiting Vorontsov Palace arrives in the spring and stays until summer. The palace is equipped with Wi-Fi which is perfect for uploading your selfie pictures in the internet. Pochayiv Lavra is situated in a slope more than 70 meters higher than the town center. Pochayiv Lavra has a thriving Eastern Orthodox community and reports of people being healed inside its walls are quite common. It is said that the group of Orthodox priests who were fleeing from a Mongol invasions were given shelter that simply appeared in Pochayiv Lavra. Ai-Petri in Greek simply means Saint Peter and it’s the name of Crimea’s most popular mountains. Once on top, climbers can get to see wide areas of Crimean shoreline. Ai-Petri is a worthy mountain to climb, rising more than a thousand meters from the base of the mountain. Those who are not inclined to climb it can still reach the summit through cable car.